For the players who want to discover our most exotic live variation of poker, we offer Live Caribbean Stud that evokes summer vibes with beautiful girls and vivid tables that pleases the eye. In addition, players will have a chance to witness our dealers at their very best, as the game requires them to deal a lot of cards with speed and precision. The object of the game is simple: the player wants to be dealt with a stronger five-card poker hand than the dealer has. 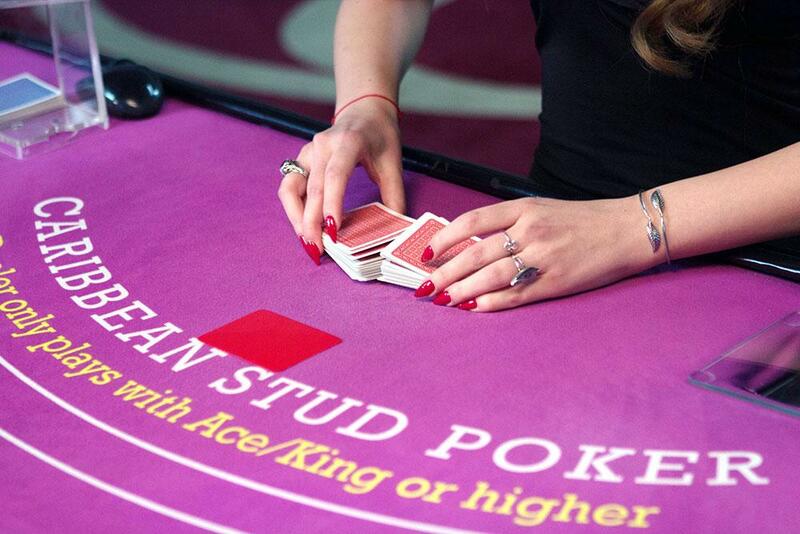 It means that Caribbean Stud has similar rules to five-card Stud, with the main differences being that player would play against the dealer and not against other players at the table. There is even a small amount of strategy involved, as players must choose whether they wish to raise or fold, depending on the strength of their hand and the single exposed dealer card. 1. The history of the game is rather complex and convoluted, it is not clear who created the game in the first place. Allegedly, it was gaming expert David Sklonsky who came up with the rules in 1982 and then tried to patent the game as “Casino Poker”, but could not do that due to patent laws. Two years after that, Sklovsky was approached by a poker player who claimed he patented the game in Aruba and sold it to a casino, where it was presented, with slightly changed rules, as Caribbean Stud Poker.